Beautiful, affordable and peaceful small towns are the new destinations. As prices climb, buyers are turning their attention to alternative destinations they wouldn’t have considered a few years ago. Population, traffic and prices have risen significantly in big cities and the leafy suburbs. Lots of areas that were never even considered are now getting more attention. 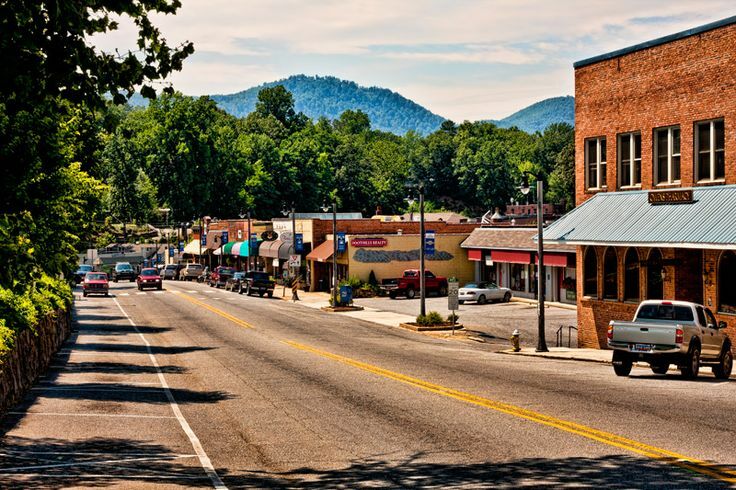 Popular Western North Carolina vacation and retirement towns such as Asheville and Hendersonville are now crowded, and pricing out the $200,000 – $300,000 buyers. As a result, markets in smaller nearby towns such as Tryon, Saluda, Columbus, Landrum and Lake Lure are coming out of an 8 year hibernation. These quiet little towns are now heating up for the first time since prices bottomed out in 2008. Currently, there are more buyers than sellers, so you might be able to list your home today and finally make a healthy profit. Community is big here. 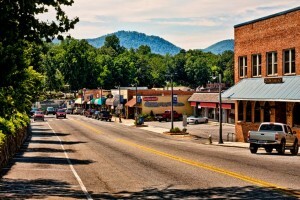 Tryon and Landrum are hundred-year-old towns with a rich history in the arts and equestrian activities. When people look closely at what’s going on here, they’re shocked at the world class level of our cultural arts scene – It’s a lot like Santa Fe on a smaller scale and with more trees. We have sidewalks, kids walk to the really good elementary school, restaurants, coffee shops and a very strong sense of community. The town’s first new condo building is opening soon on North Trade. It will be located right in the middle of town next to a bakery, a wine bar, a movie theater, post office, grocery store, library, and cultural center. What else do we need? Walkable areas are getting much more traction than they have in the past. Nowadays, buyers out here in the country want to live closer to shopping, dining, and entertainment. Adding to this trend is the infinite list of outdoor activities and country festivals people can enjoy in under an hour from home. Restaurants, shopping, waterfalls, hiking, gardens, music, antiques, bicycling, ziplines, rafting, horses everywhere … It’s like living at summer camp. Not to mention all the action at Tryon International Equestrian Center. It really is like horse Disney World. The competitions are serious – it looks like the Olympics is happening every day during show season. There’s always something going on over there. 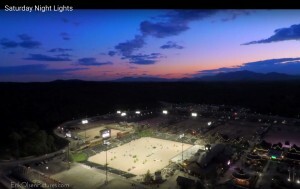 Saturday Night Lights has become a big event. Even on quiet days it’s nice to just go over for french fries and an ice cream soda at Roger’s Diner. It’s great people watching. These are the main reasons I moved here myself, and made a long term commitment to establishing our new business. I can be here and get to Charlotte in an hour and a half. It’s pretty perfect. For further information on the area and available homes for sale or rent, visit our site.